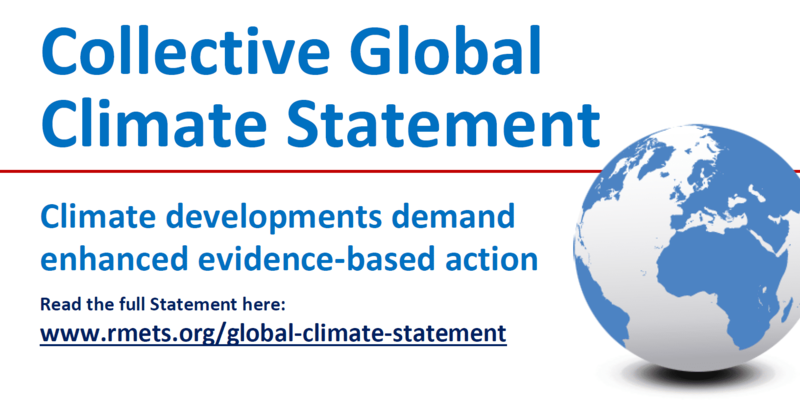 An international coalition of 33 meteorological and climate societies and institutions have released a Collective Global Climate Statement to coincide with Earth Day (http://www.earthday.org/) on 22nd April, which this year is focused on environmental and climate literacy. The Statement acknowledges the overwhelming scientific evidence that our planet is warming, largely due to emissions of greenhouse gases from human activities and calls for prompt, sustained, global, collaborative, evidence-based action to avoid the largest impacts of climate change. It urges governments to fully and urgently implement the commitments made in Paris in 2015 to ensure the future global temperature increase is limited to well below 2°C above the pre-industrial levels, to pursue efforts to limit the increase to 1.5°C and to cut greenhouse gas emissions to net zero in the second half of this century. 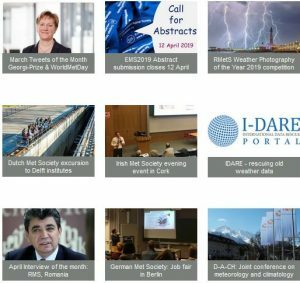 The essential role of meteorological and climate services in developing effective tools and systems for use by decision makers is highlighted, and cooperation and collaboration across countries, business sectors, society, and science, including education, research and innovation, is emphasised.